Finding out I was pregnant with twins brought such a mix of emotions that I didn’t even know what I really felt at any given time. I knew I was shocked, yet crazy excited, but there were other feelings that I was constantly fighting. Fear, loneliness and disbelief were clouding my mind. I would smile and laugh, but inside, all I really wanted was to connect with someone who had been through it. I bought many twin and multiples books, not just for the tips, but mostly for the personal stories. I just wanted to know that what I was experiencing was normal, and to feel a little less alone. 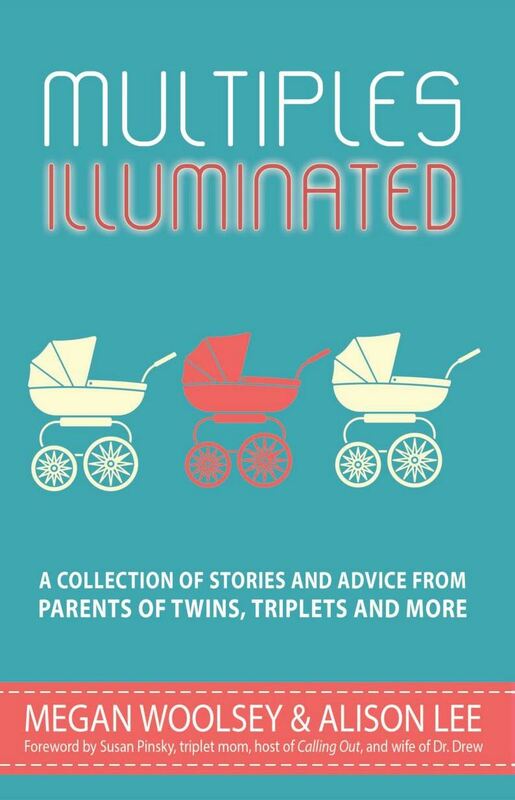 When I was contacted by Megan Woolsey and Alison Lee, and asked to contribute my twin story to their book Multiples Illuminated, I had to turn it down because I had so many projects on the go. Well, I just read their collection of stories and advice from parents of multiples, while on the plane coming home from California and I am kicking myself for not being a part of this amazing group of parents. This book resonated so deeply within me. I could relate to every story and somehow felt connected to each parent. 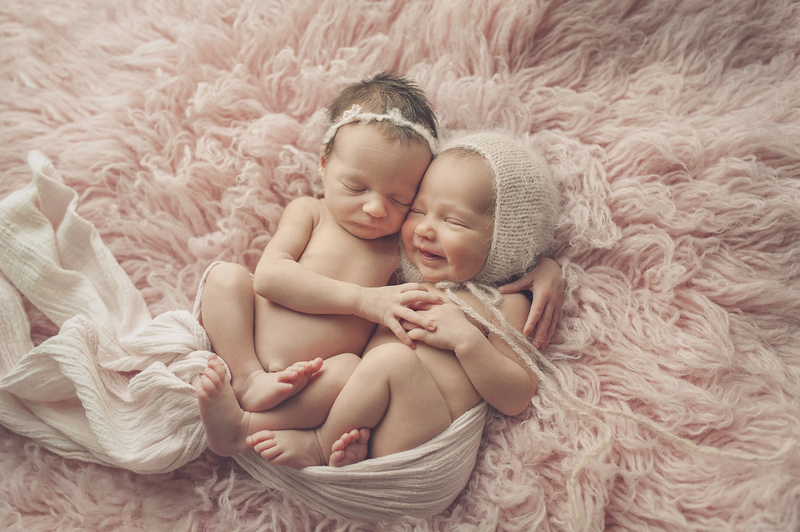 I swear, at times I could almost feel those two babies inside my tummy again as I read details about other twin pregnancies. The book has been split up into sections including trying to conceive, pregnancy, labor and delivery, NICU and the first years. Each section is filled with essays from both twin and higher order multiple parents. Although I am absolutely loving reflecting on my own experience, I would have lived and breathed this book during my twin pregnancy, reading it over again and again. You will also find the most perfect hospital packing list known to the multiples community, by Megan Woolsey. I put my hair up in a style that can only be described as “Scare the Neighbours” and pulled on a tank top and a pair of my husband’s SpongeBob silk boxers, declaring myself most decidedly not having babies that night. Husband and dog joined me by my side and feet, respectively. When you have more than one baby in your belly, you create exactly 5,782 more gallons of amniotic fluid than a singleton pregnancy. At 1:37 a.m., I woke to a popping noise and a release of pressure as though a balloon filled with warm, slimy fluid had been punched out of me. My water didn’t break, it unleaded… all over the dog. I never expected parenting would be easy. I only expected babies. What we had before us now was beyond my comprehension. What if they had been born in perfect condition? That would not exempt them from some other harm later in life. It is all a roll of the dice. I would worry just the same. Crying would be a daily occurrence. Waterproof mascara would have been a joke and a waste of time. I trekked daily to two hospitals, holding each baby as often and as long as I could. I didn’t realize during the shock of finding out I was going to be a father of multiples that my wife was also giving birth to the hottest attractions for the casual passerby to “ohhh” and “ahhh” at. In fact, when in public, the only people who don’t seem to acknowledge our existence are the other families with twins. Surprise, right? Maybe after wading through countless people asking, “Twins?” we don’t have the energy to jump in the air and shout “Twin life!” while hitting a mid-air high five. No, usually our eyes stay averted, gifting each other with a moment of tranquility that is quickly interrupted by the next couple seeing twins for what must be the first time, ever. If you are pregnant with multiples, have multiples, or know someone else who may enjoy this book, it is a MUST HAVE. Want to win a copy? Head to Nesting Story’s Facebook page, and all you have to do is leave a comment on this post >click here< about your multiples connection, whether you are pregnant with, have multiples, or know someone with multiples. Don’t forget to LIKE Nesting Story’s Facebook page while you are there! Giveaway closes on Wednesday May 11th at 8pm EST. I will draw one name at random and that person will be contacted via Facebook. Good luck! For more information on Multiples Illuminated, head to the website www.multiplesilluminated.com. You can also follow Multiples Illuminated on Facebook, Twitter and Pinterest. So glad you enjoyed the book, Joanna! Thanks for your kind words about my essay!